Summerlin Village - Large Loft Upstairs That Separates The Master Bedroom From The 2 Other Bedrooms For Privacy. Super Clean. Worth Seeing MLS#2087069. BHHS Nevada Properties. Summerlin Village - An impressive second floor with Family living area, second Master suite & large covered balcony. View the 3D tour now MLS#2087056. Simply Vegas. Magnolia At Summerlin - Close to downtown Summerlin, New ball park & restaurants. DON'T MISS! MLS#2087357. Offerpad. Oak Knoll - This home is less than 1 minute to Red Rock Casino, DT Summerlin, VGK practice, LV Ballpark, and so much more! MLS#2086200. Coldwell Banker Premier. Summertrail Summerlin Village - Stunning Gourmet Chefs Kitchen, New Cabinets, MARBLE Countertops, NEW Stainless Appliances, Spacious & Open, Vaulted Ceilings, New Wood Flooring, Luxurious Master Bath, Private Patio & MORE! Come see this "Gem" MLS#2087057. Simply Vegas. 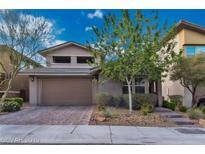 West Hills - Close to Summerlin Hospital, shopping centers and parks. MLS#2087737. BHHS Nevada Properties. Sun Colony At Summerlin - CulDeSac Location near a resident only gate. Front Courtyard MLS#2087592. Siena Monte Realty. Valenca Summerlin - Close to parks, shopping and dining MLS#2086584. Platinum R.E. Professionals. Copper Ridge At The Hills - Covered Patio, Finished Backyard With Trees And Artificial Grass!! ! MLS#2085900. Realty ONE Group, Inc.
Calavera At Summerlin - Hardwood and tile throughout the home! MLS#2087673. Trade Wind Investments. Willow Creek Summerlin - Perfect for family or entertaining w/multiple gathering areas, beautiful courtyard entry w/pavers, fountain, executive office, quality construction, gourmet kitch equipped w/lrg island/brkfst bar, top of the line SS appliances, 2 dishwashers, an abundance of custom cabinetry & opens to the roomy family rm w/trey ceilings MLS#2087000. Luxury Homes of Las Vegas. Vineyards Summerlin - Huge comfy family room w/open upgraded kitchen.Master suite w/exquisite bath & 2 walkin closets separate from the other 2 bedrooms.Plus a casita w/entrance from courtyard. MLS#2083387. The Anhder Agency. Summerlin Village - Stunning Open Concept Modern Home in Luxurious Gated Community of The Cliffs in Summerlin * Home Offers Some Breathtaking Views of Strip, City, Mtn & Greenbelt/Community Trail * Chef-Style Gourmet Kitchen, All Stainless Appliances * Bright Living Space w/ Vaulted Ceilings * Engineered Hardwood & Ceramic Tile Throughout * Dual Master Suites * 2 Feature Walls * 3 Piece Sliders * Covered Patio * Oversized Balcony * Fabulous Pool & Landscape! MLS#2085855. Evolve Realty. Glenbrook At Summerlin - Large Upstairs Loft, And A Master Suite With Master Sitting Area And A Fabulous Master Bathroom. MLS#2087302. The Home Shop. Ashton Park At The Vistas Summerlin - This property is on an over-sized lot, you won't want to miss out on this beautiful home! Summerlin West HOA only! MLS#2086361. Urban Nest Realty. Summerlin Village - Be sure to check out the custom California Closets throughout the bedrooms, pantry, and even the garage which is fully finished. MLS#2084402. Simply Vegas. Salinas Summerlin - This home is brand new down to the studs,sheet rock,wiring,plumbing,windows,custom cabinets.flooring,fixtures & applicances.Beautiful mountain views from the master bedroom balcony!Swim spa/spool for you & the kids to enjoy.Custom baths w/steam showers,jetted tub,an amazing custom closet & master bedroom retreat that can be a 4th bedroom.Solar panels & screens keep the bills down.Marble & granite flooring downstairs upgraded carpet upstairs. MLS#2087129. Keller Williams Realty Las Vegas. Summerlin Village - Escape to a reimagined backyard, accented w/ groomed citrus trees & covered patio MLS#2085829. LVREAL. Sun Colony At Summerlin - Ample Space For Golf Cart/Hobby Area. MLS#2085754. Realty ONE Group, Inc.
Evergreen In The Hills - * Interesting Layout With Open Concept Between The Kitchen And Great Room* MLS#2084219. Keller Williams Realty Las Vegas. Come take a look, and join in the Fun ! MLS#2086972. Keller Williams Market Place I.
Santa Barbara At Summerlin - Close to shopping, library, and the 215! MLS#2087039. Huntington & Ellis, A Real Est. Arbor Grove At Summerlin - Beautiful custom iron gate at entry leads to inviting outside sitting area*Open kitchen w/granite counters & stainless steel appliances & tile floors*Cozy family room w/wonderful natural light & fireplace*secondary rooms on opposite end of house from good sized master space*laminate floors t/o main living space*neutral paint color*Beautiful back yard w/covered patio & beautiful landscaping* Great Summerlin Location! MLS#2086990. RE/MAX Advantage. Sierra Woods At Summerlin - Master bath has separate tub and shower. MLS#2087299. The Property Management Firm. Panorama Pointe Summerlin - This is the one for you! MLS#2087344. Addicted Realty LLC.